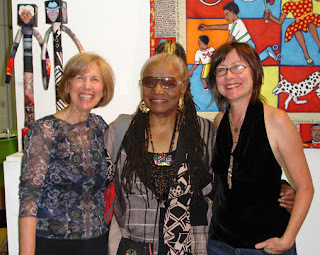 In 2007, Penny Dell from the National Association of Women Artists (NAWA) asked Faith Ringgold to exhibit at NAWA’s NYC gallery. 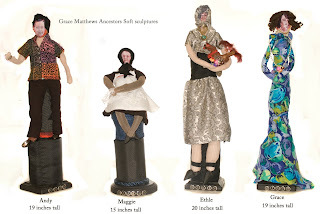 Faith invited me (Grace Matthews) to join her in this exhibition and we worked together to come up with an idea for what this new work would be. 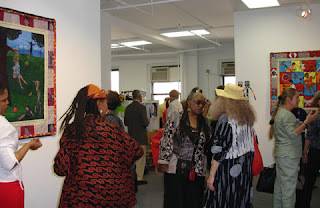 We talked it over for several weeks and came up with a concept that included children, ancestors and peace. 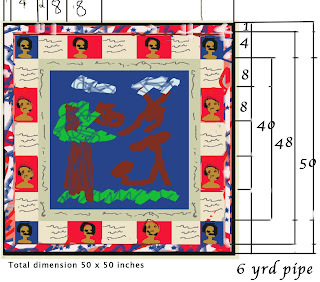 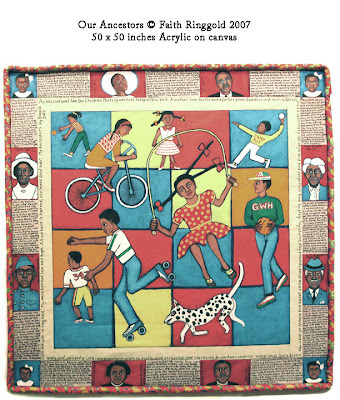 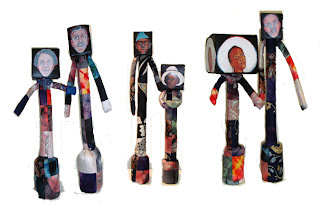 Faith wrote the story, “The Children Forgot to Play” for this project and that story is central to each quilt. 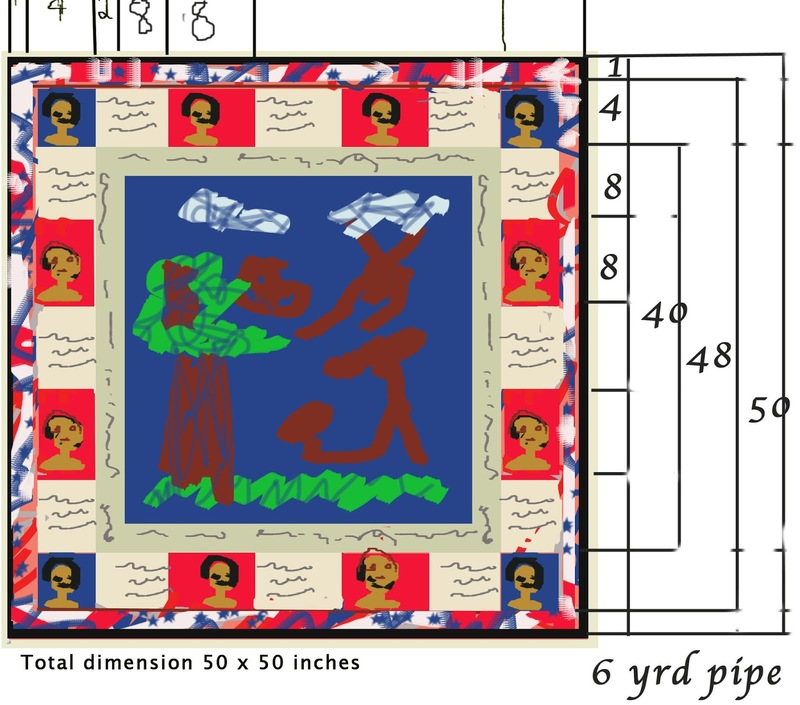 I drew up the design. 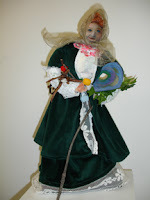 Faith invited her friend Linda Freeman to join us in the project. 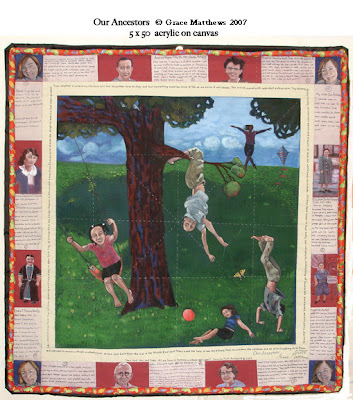 The three quilts are all share the dimensions, 50 x 50 inches, each includes the story “The Children Forgot to Play,” and every quilt has the same layout design and background colors but each artist responded to “The Children Forgot to Play” with stories from their own ancestors going several generations back. 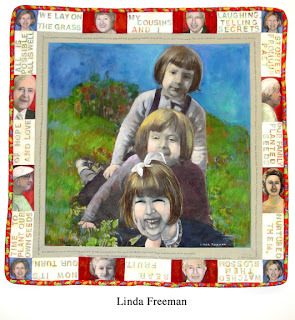 The quilts include eight portraits of actual ancestors and their stories.